Learning the Indonesian language through movies is very fun. You can learn about the Indonesian language and culture at one time. However, not many people talk about Indonesian films to help you learn the Indonesian language. Therefore, this time, Cakap will recommend you the 5 best Indonesian films to help you learn the Indonesian language. Ada Apa dengan Cinta? (English: What’s Up with Love? ) is a romantic drama film from Indonesia which was released in 2002. 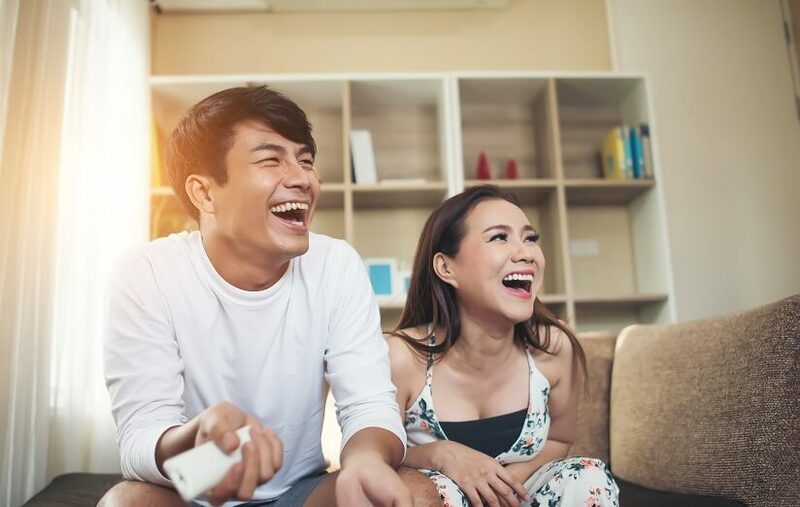 The Indonesian language title is a play of words because Cinta (Indonesian for “love”) is also the name of the main character. Thus, the title can be translated “What’s with Love?” and “What’s with Cinta?”, which means the person. The main theme of this film is teen romance. Directed by Rudi Soedjarwo, Ada Apa dengan Cinta? is one of the best Indonesian films of all time. Ada Apa dengan Cinta? is very successful, both commercially and appraisal. 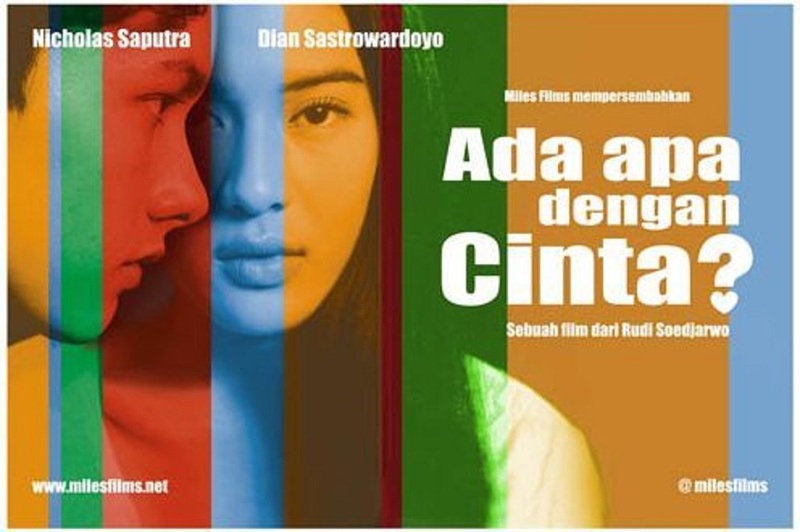 AADC also successfully won several national awards, including in the Piala Citra. The acting of Nicholas Saputra and Dian Sastrowardoyo deserves high appreciation. The sequel to this film, Ada Apa dengan Cinta? 2 (AADC2) was released in 2016. Arisan! was a 2003 Indonesian film that attracted more than 100,000 viewers. Arisan! is the first Indonesian film with a gay theme and uses high-resolution color enhancements. The film uses a mixture of English, standard Indonesian and Indonesian slang. Arisan! became the second film in the history of Indonesian films that won six major awards at the Indonesian Film Festival (FFI), including Best Films, Best Director, Best Actor, Best Actress, Best Supporting Actor, and Best Supporting Actress, after Ibunda in 1986. Arisan! is also the first film in Indonesian history that includes two men’s kiss scenes by the characters Sakti and Nino (Tora Sudiro and Surya Saputra). Therefore, they won the Best Actor and Best Supporting Actor at the Indonesian Film Festival (FFI). Petualangan Sherina (Sherina’s Adventure) is an Indonesian musical film for all ages. The scenario was made by Jujur Prananto and directed by Riri Riza. The music was arranged by Elfa Secioria from the beginning until Sherina became the most prominent child singer through the album Andai Aku Besar Nanti The film is supported by a number of prominent actors and actresses such as Didi Petet, Mathias Muchus, Ratna Riantiarno, Butet Kertaradjasa, and others. The story began with Sherina’s father, Darmawan who is an agricultural engineer, got his dream job. With his new job, Darmawan and his family moved to North Bandung. At the new school, Sherina gets an enemy, Sadam, who turns out to be the son of Darmawan’s employer, Ardiwilaga. Sadam who is a bad boy at school and is actually very spoiled at home. This was known to Sherina when taking a vacation to Ardiwilaga’s house. On this occasion, the two children hostility turned into a friendship because both were kidnapped by Mr Raden with Kertarejasa’ s order, who wanted to control the Ardiwilaga farm, for his own property project. How Well Do You Know Bahasa Indonesia? Laskar Pelangi (English: Rainbow Troops) is an Indonesian film that was first released in 2008 and is an adaptation of a same-name novel written by Andrea Hirata. The film is about the dynamic of the 10 school children and their two inspirational teachers who compiled their struggle with poverty and developed hope for the future in Gantong Village on the island of agriculture and tin mining in Belitung off the east coast of Sumatra. Set in the 1970s, the film began with the first day of the school year at the Muhammadiyah elementary school in Belitung. This school needs 10 to keep the school open. Love for Share (Indonesian: Berbagi Suami) is a 2006 Indonesian film directed by Nia Dinata. It tells three related stories. Love for Share is an Indonesian film officially submitted to the 79th Academy Awards as Indonesia for the Best Foreign Language Film, but not nominated. The film received the Golden Orchid Award as the Best Foreign Language Film at the Hawaii Film Festival in 2007. Divided into three story segments, namely Salma’s story, Siti’s story and Ming’s story. Love for Share is the talk of women who live in polygamous life from different ages, social and ethnic groups: Salma, who is played by Jajang C Noer, represents educated people with high social strata, works as a doctor, set in a Betawi culture in his 50s, married to entrepreneurs who jumped into politics. Siti played by Shanty is a woman from all over Java, whose age is close to 30; and Ming, played by Dominique, a 19-year-old Chinese girl. The three have met even though they don’t know each other too much, but they have a similar condition: polygamy. 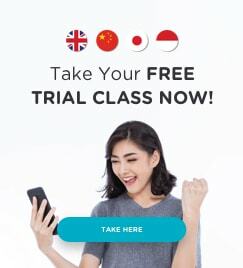 Maybe some of you have already bought the Indonesia Course Online Package from Cakap and are still confused about how to practice the Indonesian language. With the five recommended films above, you can learn new Indonesian vocabulary and learn how Indonesians interact in everyday contexts. When you finally arrive in Indonesia, you already feel more familiar and better at communicating. Visiting Indonesia? Try This 5 Traditional Dishes!